We know you have a choice when it comes to local contractors and we look forward to earning your business. Check the reviews from some of our satisfied customers then get in touch with us to discuss your next project. Rick is very easy to work with. He takes the time to listen to what it is you are wanting to have done; his work is done in a professional and timely manner; and his rates are very reasonable. Rick put an addition onto our cabin. We had him make some sliding barn doors out of bug wood which turned out beautiful too. We highly recommend using Averie Construction. I used Averie Construction for a major remodeling job on the bathroom of my 1910 house. Rick Hawkins is a fabulous construction planner, designer, and manager. He helped me work from my champagne, magazine-based bath to a beautiful, seemingly luxurious, all-tile bathroom that I could afford. I am grateful for his professional knowledge and patient explanations of costs. His construction work is quality. I especially appreciate his consistent courtesy, making appointments on time, and maintaining a good working relationship. I encourage anyone wanting to have any construction done, to consider Averie with my highest recommendation. Ricky and crew did an emergency remodel project on the bathroom of a rental that I manage. They did an amazing job and got it done quickly which saved me money on housing tenants during the repair/remodel. Thanks for the great work! I also have to say that we have used Averie Construction for our personal residence where he gave me a fabulous Master Suite, new flooring, doors and trim throughout the lower level and a beautiful new back-bar for the family room. He also extended two decks for us and everything tied together beautifully! I would recommend Ricky and crew for any project!!! Rick and his crew are great! They did an amazing job saving a cabin on our property that needed extensive repair including a new roof that required changing the roof lines, repairing and replacing siding that was in danger of rotting away, and generally stabilizing the entire structure. In addition, they repaired and stabilized the deck on our home and added new stairs so we now have access to the yard directly from the deck. Finally, they replaced a large picture window which has added so much to overall look of the house. I highly recommend Averie Construction. 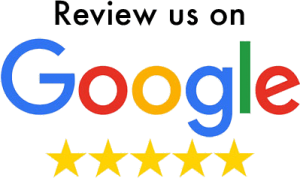 I'm having some more work done this spring/summer and of course I reached out to Rick because we are so pleased with his workmanship and his friendly approach with his customers. We needed an ADA compliant ramp built for my father in law through the VA. The VA gave us a list of contractors that had worked with them before and Averie Construction was first on the list , so we called him and he came out right away and gave us a bid. Once the bid was accepted the owner Rick and one other employee came out and built the ramp in one week. My father in law loves it and we would recommend Averie Construction to any one. They are very friendly and professional, great to work with.